In designing and testing single-resource backpacks, SwissCorps carefully reviewed essential features associated with deployment and actions in possibly extreme environments. This means not only snow but also urban and desert conditions. 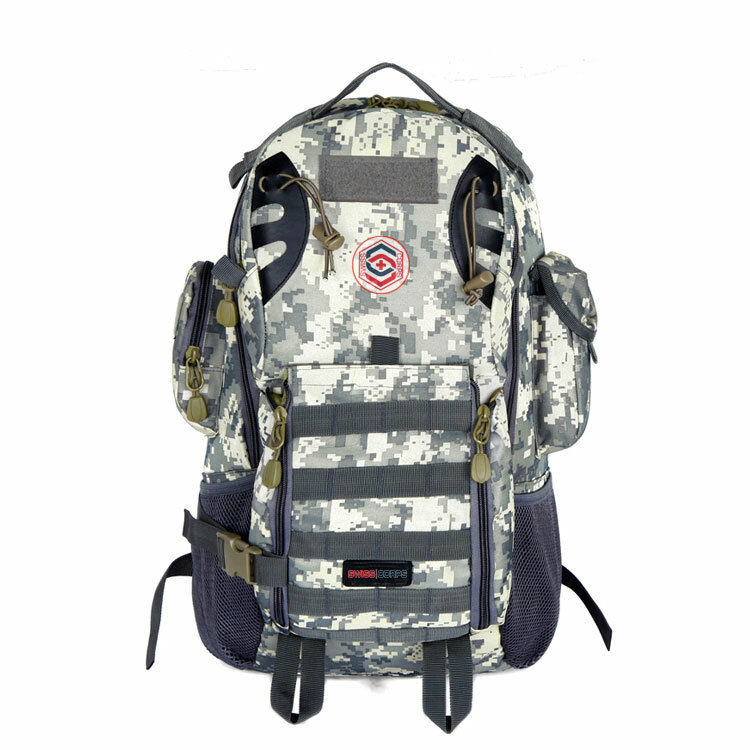 The result of our year-long effort is actually two complementary products: a military-design and military-grade backpack designed for mostly outdoor conditions and military-style requirements; the other is an “urban-tactical” backpack designed for travel with a laptop and designed for airport-travel conditions. 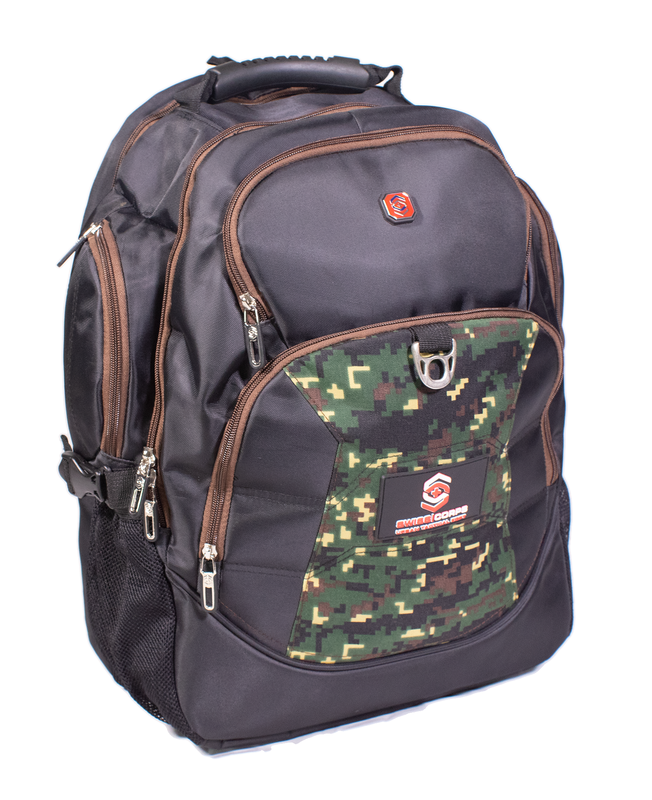 For urban tactical travel inspired by Swiss and US military standards, the SwissCorps SWB-UT-01 backpack offer 17″ laptop storage and meets SwissCorps high-quality standards, including: double-padded shoulder strap; padded camouflage pattern section with deep storage; inner, mission-critical pocket with distinctive red lining; splash-resistant design; reinforced handle and dual hanging attachments; premium mesh, etc.